Reddit landed a big fish on Tuesday when it grabbed George Clooney for an "Ask Me Anything" session. Tina Fey and Amy Poehler need to watch their backs. George Clooney wasn't at the Golden Globe awards earlier this month, but he definitely heard about Fey's wisecrack. The former "SNL"-er joked that Clooney's "Gravity" was really about Clooney preferring to float off into space and die than spend another minute with a woman his own age. He's said once before that the comedic duo have poked a bear, and he extended his warning during his AMA. 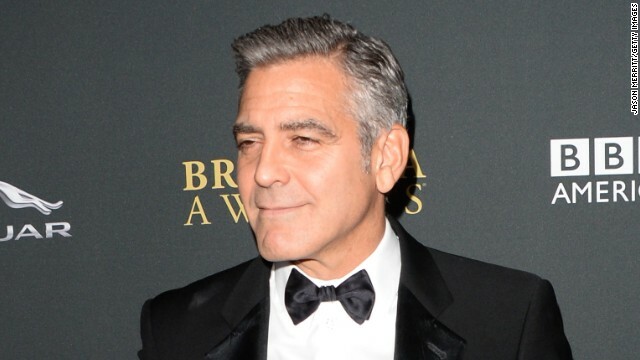 "I got really good by Tina and Amy the other day, and I’m working on getting them back in a big way," Clooney said. Sandra Bullock's a lush: When it comes to nailing down his favorite moment on the set of "Gravity," he jokes that "it’s tricky 'cause Sandy [Bullock] drinks so much that oftentimes it’s just hard to keep her upright." But in seriousness, he and Bullock have known each other for more than 20 years, and they have the friendship to prove it. "We both were struggling actors when we first met. She was dating a friend of mine at the time who’s still a good friend of ours. Every time we’re together it’s funny. She’s somebody I adore, really, she’s just fun to be in a room with. I’m sure people will assume people aren’t quite who they appear to be on screen–they’re shorter or taller or meaner or dumber–but Sandy is exactly what she appears on screen, an incredibly charming woman who’s really just fun to hang out with. Very smart and centered, even though she does drink a lot." He's doing a lot of wire work for 2015's "Tomorrowland." Clooney declined to say too much about "Tomorrowland," a sci-fi mystery about two teens who set off to uncover a place in time and space that they both have memories of, but he emphasized repeatedly that he's pretty much always strapped into a harness. "I'm on set and literally have a harness on right now. I was late, because right before I was hanging from about 30 feet over four different blue screens," Clooney said. "So as we’re talking now there are all these wires and contraptions hanging off of me. It’s really, really, really good and Brad [Bird]'s a wonderful director, and a wonderful guy with a wild imagination. And if I don’t screw it up it’ll be a terrific film. Everybody’s really good in it. Anyway, you always have to be careful what you say about these films so I don’t want to sort of ruin it by telling you that everyone dies in the end. Oops, I've said too much. « Previous entryMiley Cyrus: The new Madonna?